Since the day Facebook started allowing advertisers on their platform, there has been a paradigm shift of who truly is the customer of Facebook–consumers or advertisers. Facebook created a very delicate situation where, whichever way they leaned, they disturbed the equilibrium between consumers and advertisers. Over the years, Facebook has put more and more weight towards advertising, consequently neglecting the consumer. Now, with the latest scandal involving Cambridge Analytica, Facebook is taking considerable action to gain back some trust with the consumer–this time at the expense of the advertisers. At the end of March, Facebook officially announced that over the course of six months, they will be phasing out their Partner Categories Program. This means they will be getting rid of the targeting options that allow advertisers to use third-party data from providers such as Acxiom, Oracle, and BlueKai. These targeting options allow advertisers to reach users based on their off-Facebook activity, namely their purchasing behavior. Although Cambridge Analytica did not gain access to the more than 80 million subscribers through Facebook’s Partner Categories Program and using third-party data is common throughout the advertising industry, Zuckerberg’s termination of the Partner Categories Program evidences his concern of the potential risk posed by the program to consumers. While Facebook has unveiled many changes recently, the announcement to end the Partner Categories Program has caused the most ruckus in the industry; which may be attributed to the anticipated blow to the social media platform’s hyper-targetability. Facebook is seen as a superior advertising medium because of its hundreds of targeting options, and the removal of the Partner Category Program thwarts that. While this change will without a doubt cause a lot of pain and reshuffling of campaign strategies in the industry, Facebook will continue to hold a firm share of agencies media budgets. So, while some valuable targeting tactics are being taken away, Facebook still has hundreds of targeting opportunities to reach the billions of consumers using its platform. And, while you can no longer use Facebook to target users who are in the market for say–a new car–advertisers can still take advantage of hundreds of proven targeting tactics. Here are just a few used by our clients. 1. Go old school. Use Facebook to hit your reach and frequency quota. If you have a really small budget, more traditional mass media such as television or radio might not be an option. Facebook, on the other hand, has some of the lowest CPM rates around. 2. Cast a net. Target users in a defined vicinity. Geotargeting is not new, but with Facebook’s data, you are able to distinguish and target people who live in the defined area and people who are traveling to the defined area. Another way to use geotargeting is with Facebook’s Store Visit ads, where you can target people within a defined radius of each of your store locations. These tactics are great at driving lower funnel conversions since people are conveniently in the vicinity to convert. 3. Use the data you own. Connect your first-party data with Facebook. There are many ways to do this, but some of the most popular ways we do this are by uploading client email lists to target current customers, and placing a Facebook pixel on client websites to retarget anyone who has visited the site. The value of these tactics is that you can stay top-of-mind with customers and you can upsell with new offerings. 4. Take it to the next step. Create custom Look-Alike Audiences. Now that you are limited in the data you can use for targeting, take the data you ‘own’ and put it in overdrive. Facebook’s Look-Alike Audiences allow you to build an audience using one of your owned audiences (email lists, website visitors, those who like your page). Taking the data from your original audience, Facebook finds new people with similarities. This tactic is great for prospecting new customers. While these tactics are not as advanced as the tactics within the Partner Category Program – and some can be done with other advertising mediums – it’s important to note that Facebook is engrained in our society. 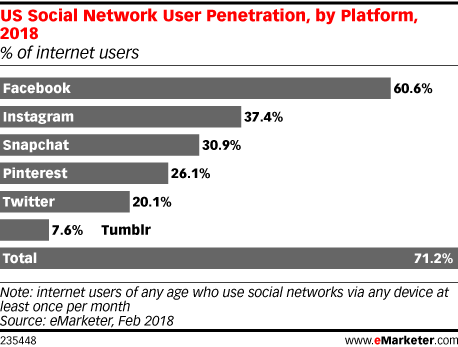 The figures may change some due to recent scandals, but the percentage of internet users who use Facebook vastly exceeds the next popular platform, Instagram. All of this is to say, consumers aren’t going anywhere and, while their trust in the platform has gone down, their time spent on the platform has not. So it’s time to shake off the panic and start strategizing on how to best reach consumers with these seismic changes in mind. Facebook still has hundreds of targeting opportunities to reach the billions of consumers using its platform. The four I mentioned are some of the more common targeting tactics we use with our clients. How are you adapting your media strategy to these changes?